These private-school gals are just so very pretty, witty, and privileged, you could die. 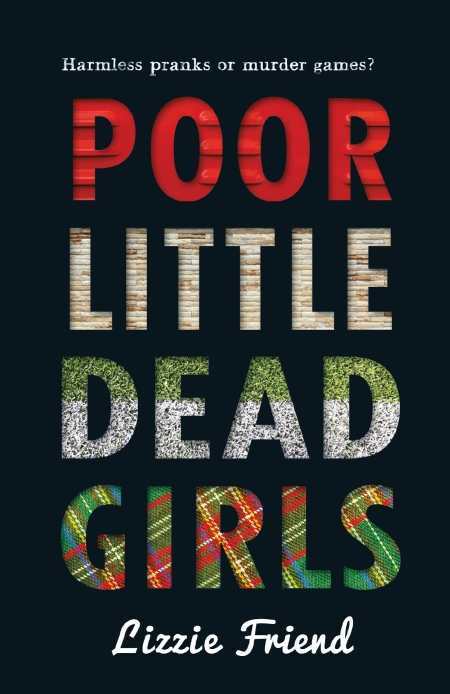 Poor Little Dead Girls is a chick-lit-flavored thriller that follows lacrosse star and scholarship student Sadie in her days at an exclusive DC prep school. Surrounded by heiresses and nobility, she is swiftly recruited into a secret society that claims benevolence (think medical care for the needy, free Chanel dresses for Sadie, and the obligatory hot guy just dying to date her). But then there’s the little matter of the dead bodies and kidnappings. A modern thriller with snappy dialogue and mystery to keep the pages turning, this novel shovels out dose after dose of suspense. If the resolution at the end seems a little too pat—we can only hope it’s because author Lizzie Friend intends a sequel—after all, conspiracies have a way of lasting, especially conspiracies of the rich and famous. “They’re just as screwed up as the rest of us—they just have better costumes to wear,” says one character. Friend’s first thriller is vividly written. For the most part, she avoids the clichés that YA writers fall into, though there are a few too many “racing hearts,” etc. Poor Little Dead Girls makes up in fun what it lacks in gravitas. It’s light and frothy, with just the right amount of tabloid kicker.